Black and White image of HP MICRO 3000GX . 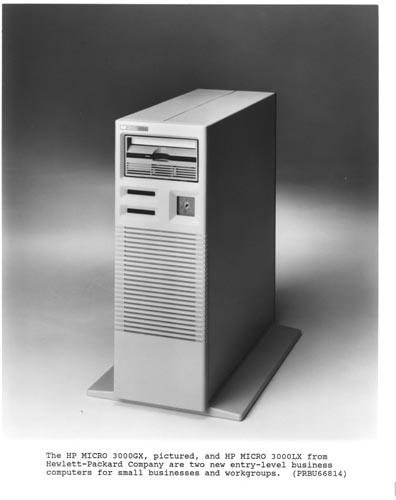 Label at bottom of image " The HP MICRO 3000GX, pictured, and HP MICRO 3000LX from Hewlett-Packard Company are two entry-level business computers for small businesses and workgroups.. (PRBU66814)."